MONTREAL -- Montreal Canadiens general manager Pierre Gauthier announced Monday the acquisition of goaltender Karri Ramo from the Tampa Bay Lightning, in return for netminder Cédrick Desjardins. Ramo, 24, suited up for 44 games with Omsk in the Kontinental Hockey League in 2009-10, posting a record of 21 wins, 17 losses, 4 overtime losses, a 2.11 goals against average and a .913 save percentage. He tied for 6th in the league in goals against average, and was also tied for 4th with four shutouts. A native of Asikkala, Finland, Ramo played in 125 professional games in North America between the age of 20 and 23. 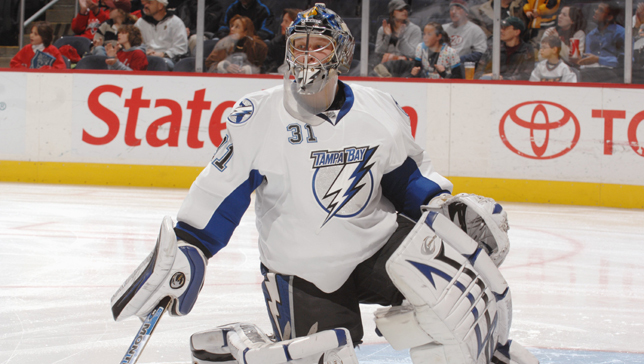 Selected in the sixth round, 191st overall by Tampa Bay in the 2004 NHL Entry Draft, he played 48 NHL career regular season games with the Lightning between 2006 and 2009, posting a 11-21-10 record, a 3.35 goals against average and a .895 save percentage. The 6’2’’ – 201 lbs netminder also participated in 77 games in the American Hockey League with Springfield and Norfolk. Cédrick Desjardins joined the Canadiens as a free agent on July 3, 2008. He played a total of 90 games with the AHL Hamilton Bulldogs during the past four seasons, posting a 59-27-5 record, a 2.64 goals against average and a .901 save percentage. The Edmundston, New Brunswick native also played 67 games with the ECHL Cincinnati Cyclones, winning the Kelly Cup in 2008.